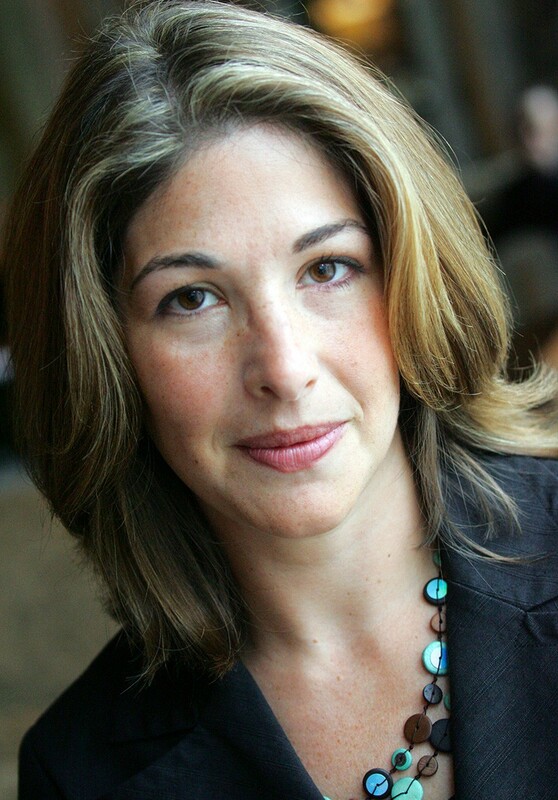 Naomi Klein appears Friday, Oct. 17, at the Santa Rosa Veterans Memorial Building. 7pm. $10. 707.481.2970. Saturday, Oct. 18, she speaks at the National Bioneers Summit Conference in San Rafael. www.conference.bioneers.org. Capitalism is on a death ride, and it's taking all of us with it. So argues Naomi Klein in her new book This Changes Everything: Capitalism vs. The Climate. The book is a galvanizing and potent dose of real talk, filled with harrowing stories of the immense damage done by free-market capitalism gone amok. But there's still time (not much) to stave off a fossil-fuel driven endgame, argues Klein. "Nothing is going to change until there are broad-based, muscular mass movements that are fighting for change," says Klein, on the phone from Portland, Ore. "And not just polite NGOs having meetings with lawmakers. These should be political communities deeply invested in social change, much like the labor movement and the Civil Rights movement." Klein appears in Santa Rosa on Oct. 17 and in San Rafael on Oct. 18 at the Bioneers Conference. The Canadian journalist has long disrupted the status quo. Her 1999 book No Logo took on corporate branding and consumerism. In 2007, her international bestseller The Shock Doctrine exposed how governments and corporations exploit large-scale disasters (think: post-Katrina New Orleans) for profit. Yet Klein spent years turning a blind eye to the biggest threat to humanity and the natural world. "I denied climate change for longer than I care to admit," she writes in her new book. At a 2009 meeting with Angélica Navarro Llanos, the Bolivian ambassador to the World Trade Organization, Klein learned about the young woman's call for a "Marshall Plan for the Earth." This forced her to take a hard look at the terrible threats of climate change—and the opportunity to switch to a post-growth economic system, one fueled by renewable energy, carbon taxes, climate debt and polluters-pay legislation. Klein immersed herself in scientific studies about climate change. The birth of her son Toma in 2013 gave the issue even more urgency, she says in the book. Over the course of 400 pages, Klein takes the reader on a masterful ride through a maze of carbon trading, fossil fuel companies with little to no governmental regulations, indigenous battles against pipelines and the glimmer of hope found in renewable energy, with a focus on the Northern Cheyenne tribe in Montana and the Idle No More movement in Canada. Klein favors the word "regenerative" over "resilient." "Humans and natural systems are resilient, but they have limits and can be pushed too far," Klein tells me. "What I like about the idea of regeneration, and a regenerative economic model and systems in general, are that they stress reciprocity." We need a new paradigm, she goes on to say, one that values cycles of regeneration and fertility over the extraction-or-bust drive of the fossil-fuel industry. "Just because we can take a lot, doesn't mean we can take everything," says Klein. Klein tells stories, with her trademark incisive, journalistic approach, about the Northern Cheyenne in southeastern Montana who've been fighting off mining companies since the 1970s. Instead of giving in, or engaging in an endless, and ultimately, doomed battle, activists turned to solar—specifically the installation of solar heaters and energy panels. Then there's Richmond, Calif., where solar co-ops have been a successful strategy in the battle against Chevron's polluting refineries. Much of This Changes Everything is dedicated to big-picture economic analysis. She explains the convoluted and false promise of carbon trades—a market-based "remedy" that led corporations to pollute more instead of less. She calls out "green" billionaires like Richard Branson, and the "big green" NGOs that coddle polluters rather than holding them to task. Climate-change deniers, geo-engineers who want to "dim the sun" and short-sighted government officials are all hewed by Klein's sharp-edged analysis. Fresh off the People's Climate March on Sept. 21, Klein says she was heartened by what she witnessed in the streets. "It was diverse, led by communities of color, and led by indigenous people. That to me is the game changer." While the fossil-fuel industry has much to lose, those people most effected by the environmental and health impacts of extractive projects have the most to gain, and the most to lose if things change, she says. "This is also the promise of climate justice," she says. "It could bring resources to those communities that have been on the front lines. Communities that have been on the front lines of our toxic economy should be first in line to benefit from the new economy. We can't get there unless we're willing to look at the path with honesty."